Installing Dashlane is as easy as it gets. You will first need to install the Windows application; Dashlane will then automatically install the browser extensions. Do I need to run Dashlane or my browser in Admin mode? 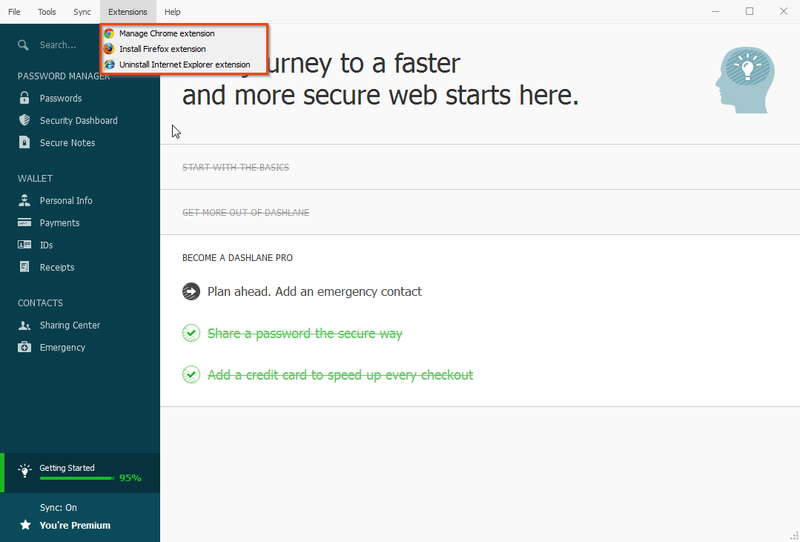 First, go to the Dashlane website (www.dashlane.com) and click on "Get Dashlane - It's FREE". Alternatively, you can download Dashlane directly from this link. Then, open the file you just downloaded and click on Run to have Windows launch the installer. After that, just click on Install and the installer will do the rest. 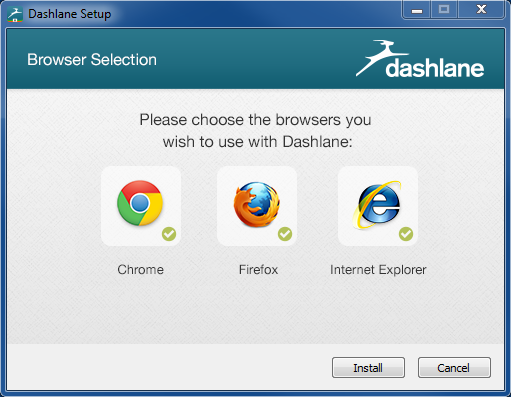 If you want, you can also click on "Custom" to choose which browsers you want to install Dashlane on. The installation itself might take a few minutes. 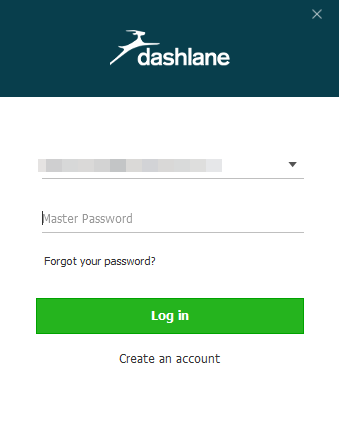 After the installation is done and you either create an account and log in to an existing account, Dashlane will show you a short tutorial to show you how to use its basic features. After you install Dashlane, the application will ask you whether you want to import your passwords from your browsers. You will be able to choose which passwords you want Dashlane to know. There more passwords Dashlane knows, the more seamless you Internet browing will be! After you are done choosing your passwords, click on "Import". 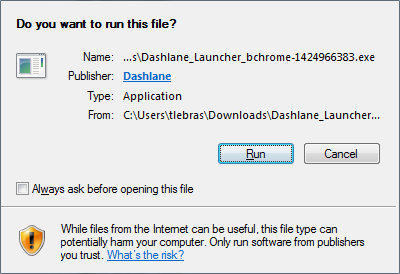 Dashlane will automatically install the Dashlane extension on Chrome, Firefox and Internet Explorer, except if you chose to uncheck one of these browser when installing Dashlane. The next time you will open one of your browsers, the Dashlane extension will be installed and ready to work. If Dashlane does not automatically install the extension in one of your browsers, you can click on Extensions on the top bar menu of Dashlane and manage your extensions from there. 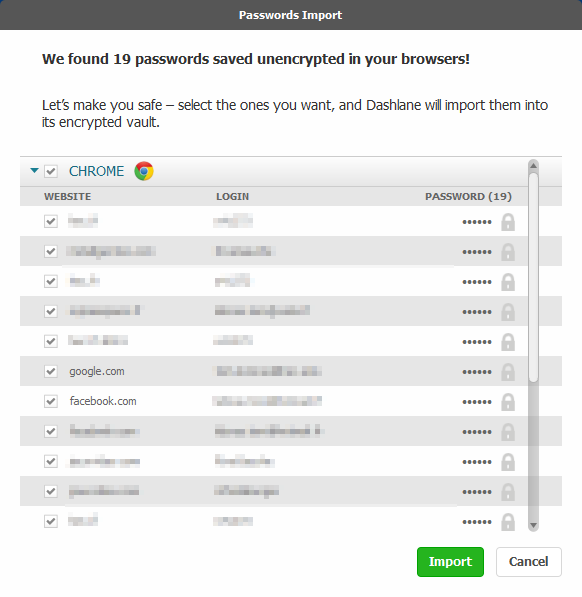 To learn more about the browser extensions, go to the Dashlane in your Browser category. In order to work in your browser(s), both Dashlane and your browser(s) must be run with the same administrator privileges. For security reasons, we recommend that you run both Dashlane and your browser(s) in normal mode and not as an administrator: Applications which are run as an administrator on Windows have full access to your system, which can be dangerous when using a browser. However, because of limitations set by Microsoft, the Dashlane extension for Internet Explorer can only be installed on an Administrator Windows session. You can learn more here.